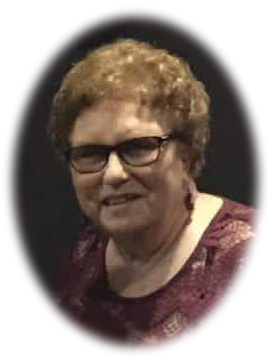 Mary Nell Hollis Franks, age 76, of Leoma, TN passed away Tuesday, November 27, 2018 at Southern TN Regional Health System in Lawrenceburg, TN. She was a native of Wayne County, TN, retired from the Lawrence County School System as a teacher for 31 years, and a member of Ethridge Church of Christ. She was also a member of the Lawrence County Genealogical Society and Daughters of the American Revolution. She was preceded in death by her father, James O. Hollis; and one grandson, Carter Sircy. Arrangements are being handled by Neal Funeral Home, 231 N. Military Avenue, Lawrenceburg, Tennessee. The family will receive friends from 5:00 PM to 8:00 PM Thursday, November 29, 2018 at Neal Funeral Home. Funeral services will be conducted at Neal Funeral Home at 10:00 AM Friday, November 30, 2018, with David Stofel and Rodney Livingston officiating. Interment will follow at Fall River Cemetery in Lawrence County, TN. Family suggests memorials be made to the Alzheimer's Association, 478 Craighead Street, Suite 200, Nashville, TN 37204.